Faith meets fashion in this stylish design for the man in your life. 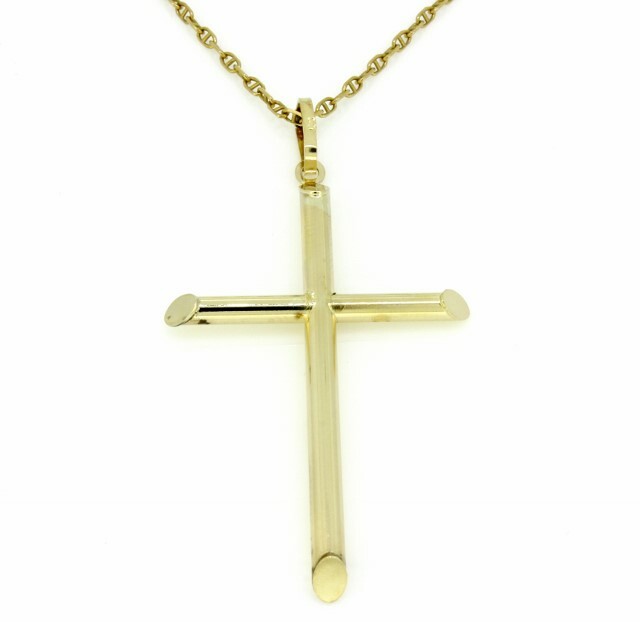 Crafted in 14kt yellow gold, this simple yet stylish cross measures 2 x 1-1/2 inches. Buffed to a brilliant shine, this cross suspends from a 20-inch rope chain secured with a lobster claw clasp.